The justly maligned American Health Care Act that was passed by House Republicans includes rules that would expand the use of health savings accounts in private insurance plans. Regardless of what happens to this bill in the Senate, the rapid rise of high-deductible health plans makes greater HSA use inevitable. This is not to say the rush to high-deductible plans is altogether a favorable trend. I support plans that require consumers to have more “skin in the game,” and high-deductible plans do this. This can, over time, help slow the pace of health care inflation while supporting greater transparency in what consumers pay for health care. High-deductible plans and HSAs reduce insurance premiums, but allow people to avoid truly catastrophic health care expenses. However, surveys show that people with these plans reduce their use of health care and, in many cases, put their health at risk. This is particularly true when lower-income consumers must use such plans to find affordable insurance. Often, these plans literally are not good for your health. Putting the HSA genie back in the bottle is unlikely to happen, however. Employers are constantly looking for ways to pare their health care expenses, and high-deductible plans have been an irresistible tool to do exactly that. The Plan Sponsor Council of America recently surveyed its members and found overwhelming support for HSAs as a retirement benefit strategy. Further, HSAs can be an unmatched asset accumulation tool. They are funded with pre-tax dollars, which can be placed in 401(k)-style investment accounts. But while most 401(k) account contributions and investment gains are taxed as ordinary income when withdrawn and spent, HSA withdrawals are not taxed so long as funds are spent on a broad array of qualifying medical expenses. Building up big balances in these accounts is thus a great way to prepare for the inevitable health expenses that older Americans will face in retirement. Unfortunately, as many Ask Phil readers have discovered, HSAs are not compatible with Medicare. Historically, this made sense, explained John Rother, a long-time health expert with AARP who currently heads the National Coalition on Health Care. HSAs were created by the same 2003 law that gave birth to Medicare’s Part D drug insurance program and also reshaped rules for Medicare Advantage plans, making them much more attractive to private insurers. In the 11 years since the current versions of Medicare Advantage plans (technically identified as Part C of Medicare) were first introduced in 2006, they have captured a third of the entire Medicare market. Basic Medicare, which includes Part A for hospital insurance and Part B to cover doctors, outpatient expenses and durable medical equipment, has the other two-thirds. When created, HSAs were designed to complement the then-new world of high-deductible health plans, Rother notes. Medicare, of course, was not a high-deductible plan in 2003. Basic Medicare and Medicare Advantage plans continue to have relatively modest deductibles today, especially in contrast with many private employer and Obamacare exchange plans. Further, relatively few people eligible for Medicare remained in the workforce in 2003. But this is no longer the case. Roughly a third of people in their later 60s are still in the workforce today, and so are significant numbers of folks in their 70s. The 2008 recession placed comfortable retirements beyond the reach of millions, and stagnating wages have made it very hard to accumulate retirement nest eggs. As a result, many older employees are using HSAs to create better paths to retirement. I’m all for that. And while many of them understand the logic that HSAs and Medicare are incompatible, they simply do not understand why drawing Social Security benefits also triggers the ban on continuing to make pre-tax HSA contributions. I’m with them there, too. Unfortunately, the Social Security Administration requires anyone who receives Social Security benefits to also be enrolled in premium-free Part A of Medicare. This is not optional. The only way to reject Part A is to reject Social Security benefits. While existing HSA balances may be rolled over and used to pay future medical expenses, employees with HSA plans must stop new pre-tax contributions into these plans once they claim Social Security. I can find no valid reasons for the linkage between Part A and HSA eligibility. Signing up for Part B of Medicare is normally required to get other private Medicare insurance plans. This, it seems to me, is the “real” stage at which someone gets Medicare. So long as Medicare remains a low-deductible program, I understand and accept the ban on continued HSA contributions. Besides, HSAs confer tax breaks on account holders, and Medicare also provides enrollees with big government subsidies. Giving people a double subsidy is a bad idea. But we need to give older Americans more tools to save for retirement and certainly not take away effective tools already in use. Congressional Republicans have introduced bills to eliminate Part A of Medicare as a disabling event for HSA contributions. While I have nothing good to say about the AHCA, I do hope the Part A-HSA linkage can be broken by enactment of one of these measures. This article originally appeared on May 17, 2017 in the Ask Phil column published by the PBS NewsHour’s Making Sen$e website. Previous post How Does Divorce Affect Your Social Security Benefits? New Software Can Help Find the Answer Next post When will Social Security go broke? 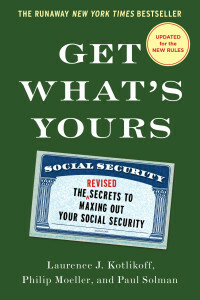 All of the new Social Security rule changes are covered in detail in this new edition of Get What’s Yours, on sale in May and available now for pre-order. 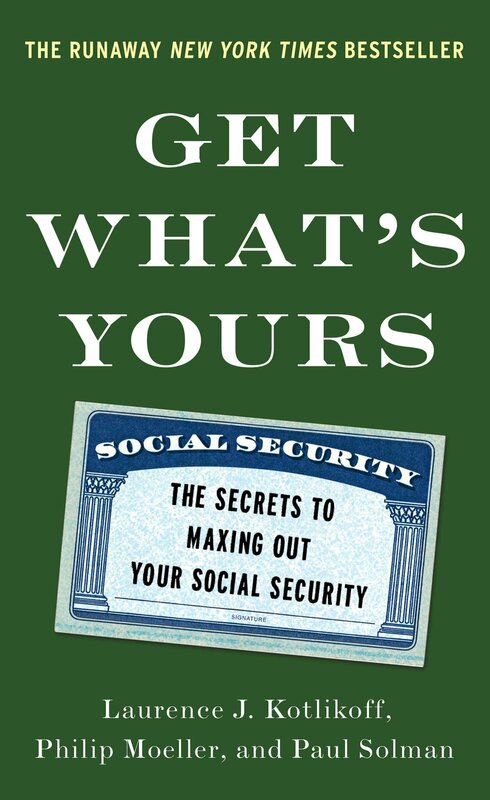 Get What’s Yours quickly established itself as the definitive guide to Social Security when published in 2015. It jumped to the top of The New York Times bestseller lists and became the nation’s top-selling business book of the year.